In the article, I explain what a digital marketing strategy actually is and reveal all of the necessary components that go into pulling off a profitable strategy. 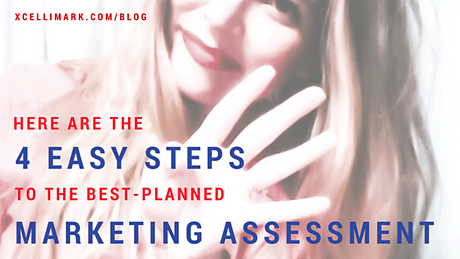 So, if you read the article, here's what you already know: your first step to starting your digital strategy is to do a marketing assessment. "The primary activities in the marketing assessment include identifying the key performance indicators (KPIs) currently in place or that need to be put in place. The KPIs are used to measure the critical marketing and sales activities that contribute to your business goals and objectives. They also identify all the key marketing campaigns and their performance." - Source: "This is How to Be Successful By Creating the Best Digital Marketing Strategy"
If I had said much more about the marketing assessment in that article, I would have never gotten to the rest of the 12 components that make up a digital strategy framework. Here's the surprise: I have decided to write a series of articles explaining each of the 12 components in depth. That way, you can go forth and reach new heights and new goals for your company. 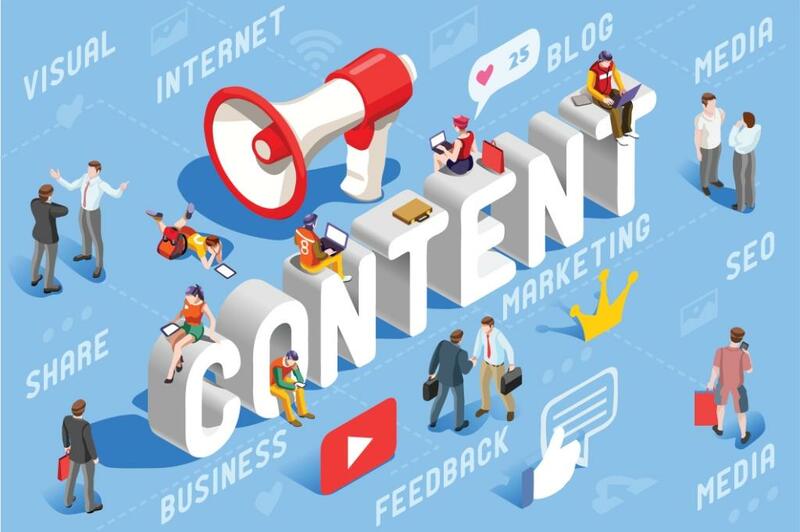 As I mentioned in my article on digital marketing strategies, there's a common expectation among many company owners and executives about how to approach a digital marketing strategy. This approach is to simply order a website redesign, add some SEO, sprinkle in some social media and put that email marketing stuff on top. Because that's all that a digital marketing agency needs to start bringing in business and sales opportunities, right? Or, others might think that by connecting these services into a marketing automation platform and a CRM, then that will pull all the information together and that's their digital marketing strategy. This is a common business mistake. The misconceptions come from thinking that these digital marketing tactics are in fact the strategy. When in reality, these are purely tactics. 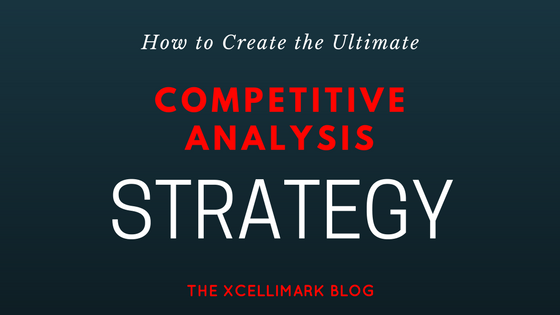 The strategy is much larger and serves a much larger purpose and end game. Before you ever start to implement the tactics mentioned above, you first need to address all of your business goals and all of your business challenges to reach your target markets. And that is the essence of your digital marketing strategy. Therefore, you need to create the digital strategy before implementing the digital tactics. But First, Your Marketing Assessment. No matter if you are working with a digital marketing agency or flying solo, the first step to starting your digital strategy is to conduct a marketing assessment. It includes a marketing assessment of both your business and all of your current marketing activities. This will in turn ultimately reveal how well you are meeting your business goals and overcoming your business challenges. Basically, you get a reality check of where you currently stand. Because, if you can’t tell me where you are now, how can I tell you the plan to get you where you want to be instead? Digital marketing agencies apply a wide range of approaches to completing an assessment of your business. I’ll admit that some agencies will respond immediately to your request to provide you with a proposal without asking any substantial questions about your specific business goals, needs, challenges and metrics. Here's the ugly truth: You will likely end up firing them after they fall short of achieving your business marketing and sales goals. Because, the majority of our customers were in a frustrated state by the time they first inquired about our services. Their frustration was with the prior 2-3 agencies they quickly went through after failing to deliver the results they were promised. If an agency is only giving you a generic quote without tailoring their services to your specific needs and goals, then chances are, you're going to be frustrated. You can prevent all of that by starting here: Your business marketing assessment. We need to know specifically what you are trying to accomplish in your business. Determine which ones are most relevant to marketing and sales. The goals tend to be related to revenue. Goals also include all of the activities that lead up to generating your desired revenue. Those activities will also have a cost component to them. For example, some goals may focus on your cost of acquiring a customer through different types of activities. "Since we grew 15% in revenue last year, this year's goal is to increase sales revenue by 25% within 12 months." "Currently, our average sale, or life-time value (LTV) of a customer, is $3,500. Yet, the cost of acquisition is $2,500. Therefore, our goal is to lower the cost of acquisition by 25% within 9 months." "Typically, our software company closes only 4 sales per month. Our goal is to increase sales to 6 per month within the next 6 months, while still maintaining our current cost of acquisition." "We need to lower our average time in the sales pipeline (from initial lead to close of sale) from 6 months to 4 months within the next 6 months." These specific examples may not relate exactly to your business but I think you get the point. Although, many companies have not set specific goals like this. "Setting concrete goals, documenting them, and reviewing them periodically can increase your chances of success by up to 95%." If you have not done this yet, it’s time to get started. Now you need to evaluate the different types of customers you have for your products and services. Do your customers have different problems that your products and services solve for them? Who are the decision makers and their key influencers? At this point, you are not developing a buyer persona but rather a more general view of your customers. If you are a B2B company, you may find that companies in various industries are using your products to solve their needs and challenges, but in different ways and for different applications. You may also determine that even though there is a final decision maker, they are influenced by other employees that you need to identify. If you are a B2C company, you may find that your products and services are purchased more by people in a certain region, demographic profile, or with a specific area of interest. Regardless of whether your company is B2B or B2C, you need to identify the different categories of your most profitable buyers when conducting your marketing assessment. Later you will go deeper into defining your most ideal customers by developing a full-blown buyer persona. 1. Make a list of each customer category and include a brief description. There are data sources that can provide you with the total number of people or businesses that fall into these types of categories such as InfoGroup, Axciom and Hoovers. Defining the population of your target market audience. 2. Rank these customer types in order of priority for your business. Whichever method you choose to rank your customer types today, remember that it will likely change over the next few years, especially if you are in a competitive industry that continues to evolve. Step 3: What Are Your Marketing Strategies and Related Activities? It’s important to list out all of your ongoing marketing and sales strategies if you want to achieve your business goals and objectives in the future. 2. Ask yourself, "What are your top initiatives for achieving these goals in the next quarter or year?" 3. Visualize your activities and initiatives as a funnel. What the funnel looks like will vary with every industry. "What activities are you currently doing to create an online awareness of your company's products and services?" These activities can be broken down into various digital marketing activities. "What specific marketing and sales activities are you currently implementing to drive traffic to your website?" "Are you publishing blog articles, social media posts or doing any type of email marketing?" "Is your company doing any outbound marketing and sales activities such as cold calling, buying lists, attending trade shows or industry conferences?" Now, compile your list of marketing and sales activities, then determine the metrics you are currently using to track your marketing and sales activity. "What activities or tactics are you using to convert a website visitor to a lead?" 3. Why should I stay on your website and engage with you? Less than 25% of your website visitors are interested in talking to a sales person. Instead they are searching for key information they need in the consideration stage of their buyers’ journey. In fact, Google’s ZMOT study found that the average buyer consumes 11 pieces of content before making a decision on who to call. "Are you providing this information for them?" "Do you even know what information they are seeking through the different stages of their buyer's journey?" A website visitor must be motivated in some way to act on your website in order to become a lead. "What are the “calls-to-action” (CTAs) that you have implemented on your website to convert your website visitors to a lead?" "Do your CTAs go to a Landing Page that sells your visitor on the value of downloading a piece of content, signing up for a newsletter, or requesting a demo or consultation?" Not all leads are the same. Not all leads will close. You need a way to qualify leads and determine how interested they are in your products and services. "What is your process to qualify leads and determine their interest level in your company’s products and services?" Just because a website visitor filled out a form on your website or signed up for your newsletter does not mean they are ready to talk to a sales person. Some leads need to be nurtured by sending them additional information in order to quickly move them to the point of being ready to speak with a sales person and engage with your company. "If you have a lead nurturing process already, is it automated through a marketing automation and/or CRM system?" List the activities that you employ to engage your leads and prospects with your sales team or to sign them up in some way online. Evaluate how you are currently tracking the key performance indicators (KPIs) that are tied to the specific marketing and sales activities that we’ve discussed so far. 1. 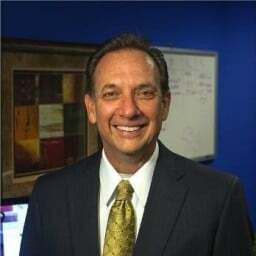 You might have to access your accounting information to look at your monthly revenue so you can calculate and truly understand exactly what a 25% increase in revenue means in exact dollar amounts. 2. Take a look at your marketing and sales support systems. Do you have a marketing automation and/or CRM system that tracks your close rates for sales proposals so you can determine how much you need to increase to reach your forecasted revenue goal? For some people it is easier to use a bottoms-up approach based upon current marketing and sales metrics that you should be tracking. Note: Make sure you know if you even have this tracking capability in place. "What are the specific KPIs that I need to be tracking?" To answer this question, let’s start at the bottom and work our way back up. – These are considered leads. By using workflows to implement a lead nurturing process, you can continue to qualify these leads even further. – These are considered leads. By using call tracking phone numbers, you can track sales calls generated via your digital properties such as your website, email and advertising campaigns. These could be people who have downloaded informative content such as an educational guide to better understand a specific interest, need or problem. These could be people who have downloaded the original educational guide, read follow-up emails, read a blog article on the topic, and maybe even downloaded a product comparison guide or case study about a solution to their original need or problem. These could be people who were a marketing-qualified lead and requested a demo, free consultation, trial, quote or proposal. "What tracking systems do you have, or need to have in place to track, report and calculate the KPIs necessary for monitoring performance?" Note: You may find out that you don’t have the tracking capabilities in place to track everything from beginning to end in order to quickly determine how well you are actually doing, or even where the problems lie in achieving your business goals. If so, this is a challenge to be identified and resolved. "Where are you driving and tracking visitors from? (I.e. 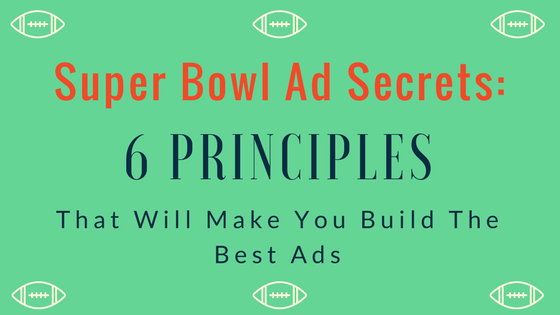 do they originate from an organic search engine, social media, blog or paid ad traffic?)" "How are you managing and utilizing company accounts on LinkedIn, Facebook, Twitter, YouTube, Google+, Pinterest or other social media sites?" "Do you monitor social media mentions on your brand name, competitors or highly-relevant key phrases?" "Are you promoting any content offers to convert website visitors into leads?" "If so, can you track how many people download them and who they are?" "Are your download pages gated, requiring the visitor to fill out a form before downloading them?" "What percentage of your website visitors convert to a lead? " "How many CTAs and Landing Pages do you have on your website?" "How often do you send out email marketing messages?" "How big is your contact database?" "Do you have a lead nurturing process for leads? If so, is it automated?" "Do you have a monthly goal for quantity and/or type of leads?" "Does your website analytics track the traffic source, marketing activity, or campaign for each lead?" "What percentage of your leads convert to customers?" "Do you have a CRM? If so, are all of your marketing leads and related-activity information contained in your CRM?" While it is likely you may not be able to answer all of these questions, this will at least give you an idea of what you want to track so you can determine what is working and what is not working in your current marketing and sales-related activities. I find that most companies are cobbling together different tools and programs that don’t necessarily integrate with each other or share critical information between systems. This presents a challenge in tracking your marketing and sales activities. Fortunately, all of these activities can be easily tracked in a robust, easy-to-use marketing and sales system, such as HubSpot. You will quickly come to see that some of your marketing and sales-related activities are working quite well. You will also see that some other marketing and sales-related activities are not working at all. The marketing and sales activities that are not actually working quickly need to be identified, improved upon or changed entirely. But in order to improve your results consistently, you need to have quick and easy access to this marketing intelligence. Aggregate data is not good enough for company owners and executives in the world we live and work in today. A marketing assessment helps you identify where you are now so you can determine what you need to do going forward. This is just the first step in creating a robust and bullet-proof digital marketing strategy. 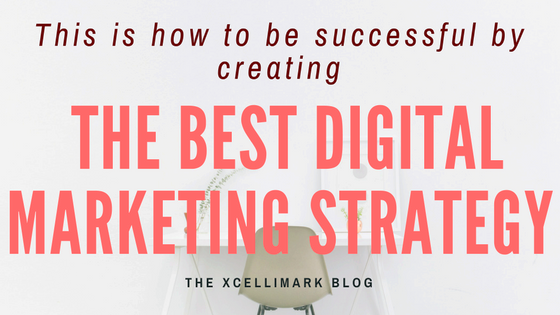 You can find out more about creating a full-blown strategy in the article, "This is How to Be Successful by Creating The Best Digital Marketing Strategy." In my next article, I will be tackling Step 2 in creating the best digital marketing strategy for your company. So, stay tuned. In the meantime, do you want more help on where and how to get started? Simply book a time in my calendar to have a free 30-minute consultation with our team of experts and myself at Xcellimark. I promise that it will not be a sales pitch; just an opportunity to talk through your goals, challenges and how you can strategically and efficiently approach them. Looking forward to learning more about you and your business goals.